26 | August | 2007 | ZOMG, Candy! I just spent a week volunteering as a counselor at Camp Rising Sun in Connecticut. 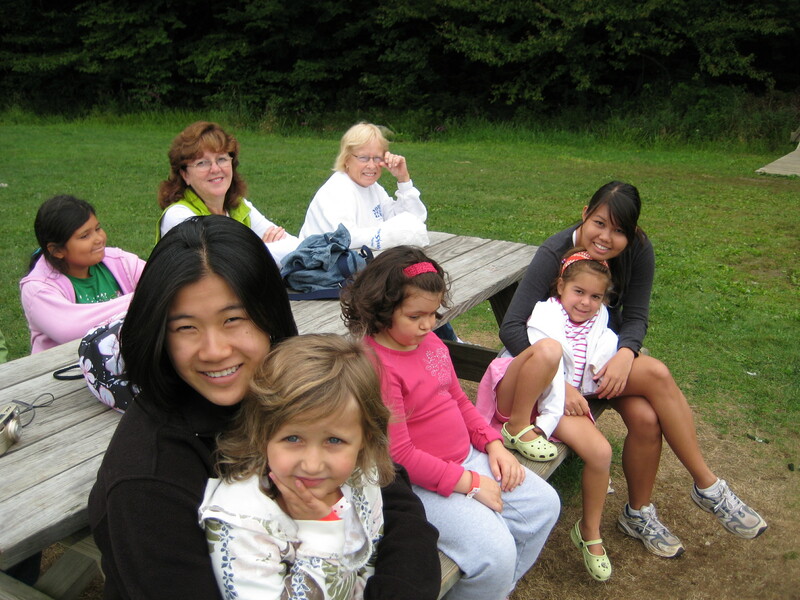 I was a counselor for the smallest cabin of little girls, ages almost-6 to 9. It was my first summer working for CRS, and I was blown away by how much candy that gets consumed there. Our cabin of 8 girls and 6 counselors went through at least half a dozen bags of the stuff – two 5-pound bags of mixed candy, a 2-pound bag of Twizzlers, a giant variety pack of M&Ms, another variety pack of Hersheys, plus smaller bags of Smarties and gummi bears and Pull ‘N Peels… And that’s not counting the sweets from activities like cupcake decorating and movie night! Those kids were eating candy from morning to night, and the other counselors and I happily joined them. When I helped the girls fill out their camper evaluation forms at the end of the week, one of them instructed me to put “candy” as her favorite food and “They let me eat candy before dinner” as why she thought her counselors did a good job. I really wish I’d thought to take a picture of the table in the cabin that we covered in candy. Instead, y’all get a cute picture of me with the kids (I’m near one; the far one is my suitemate, Catherine, who hates chocolate). I thought I’d be sick of candy for a while, but yesterday, my first full day back, I started off the day by polishing off two rolls of SweeTarts, a roll of Smarties, and a miniature Crunch Crisp bar (review to follow on that soon). So much for curing my candy addiction through saturation.